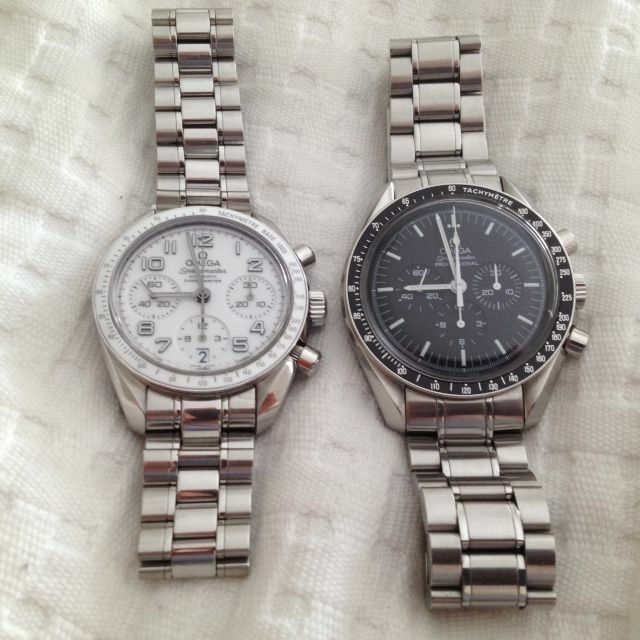 TimeZone : Omega » Hers and his ! Not a particularly good shot I`m afraid chaps, but very glad to see my partner Michelle is loving her Speedmaster. She won`t go anywhere without it.